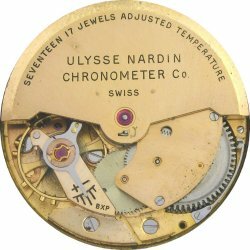 Known primarily for their marine chronometers, Ulysse Nardin produced many of the finest marine chronometers for military and merchant ships, before the introduction of Global Navigation Satellite Systems. 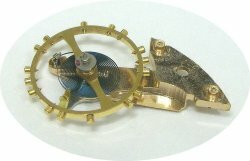 Of 4504 certificates for marine chronometers issued in Switzerland, 4324 were issued to Ulysse Nardin. 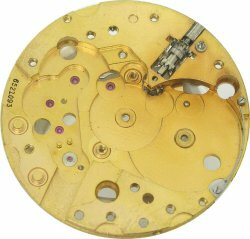 The photos of this watch were taken during disassembly. 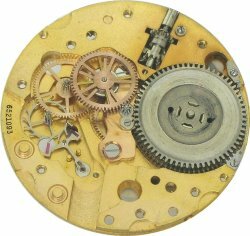 It was obviously worn for many years, yet the parts were in remarkably good condition, especially considering that it did not appear ever to have been serviced, a testament to its craftsmanship and design. 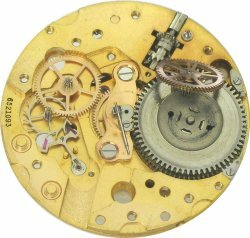 Made in the mid-1950s, this watch really stands out among collectible timepieces because of its design, with features that I have not seen in any other watches in twenty-five years of collecting timepieces: the third wheel in the time train has two gears to drive the fourth wheel and the pinion gear for the centre-second hand, an impressive complication. 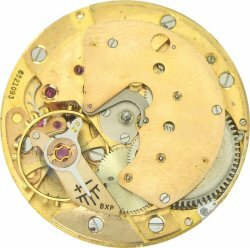 This watch has a simple and elegant design for the automatic winding mechanism, yet it winds in both directions of rotation of the rotor. 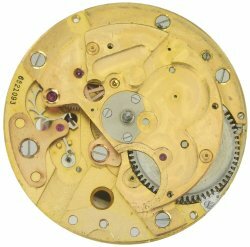 The rotor is jewelled, unusual in automatic watches from that era. 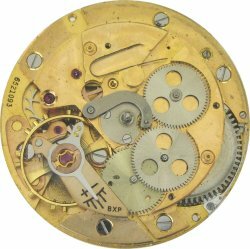 As you would expect from a manufacturer of chronometers, the accuracy of this watch is also impressive.